This article was originally published in Aftermarket Business World on August 5, 2018 by James E. Guyette. Based in Canada with locations in Ann Arbor, Mich., Germany, Japan, Korea, China, Taiwan and other Asian countries, GaN Systems is among numerous international firms participating in The Battery Show, occurring Sept. 11-13 at the Suburban Collection Showplace in Novi, Michigan. 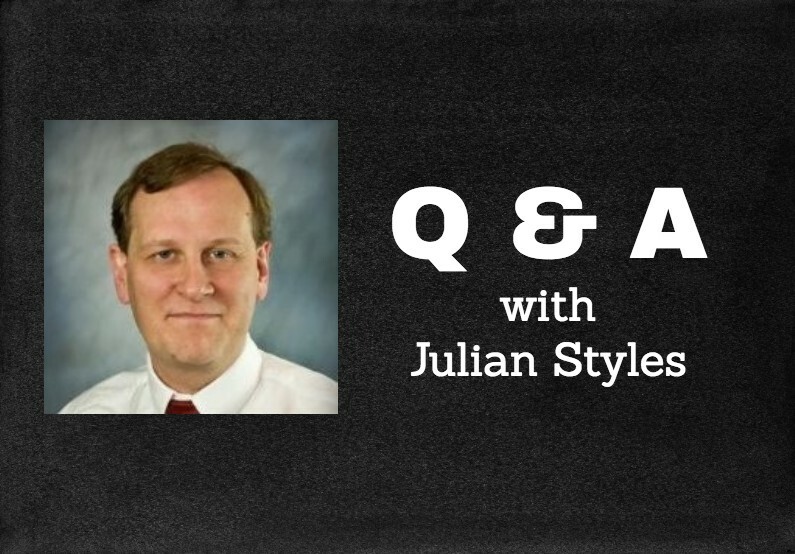 “We’ll be at the show with some of our partners, and we’ll be giving a paper that provides an update on the rollout of GaN in automotive applications,” reports Julian Styles, the company’s director of sales and marketing for The Americas. 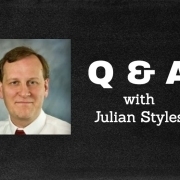 Q: How does GaN differ from other power technologies? A: Using GaN (gallium nitride) instead of silicon means you can make power electronics much more energy efficient and, at the same time, make them smaller, lighter, and in many cases, simpler and cheaper. For example, Hella has shown a new 22kW on-board charger intended as an OEM fit for EVs. It uses our GaN Systems devices, and it’s roughly one-third the size and weight of competitive products. Q: What are the key issues regarding battery technology development? Are there strategies being implemented to reduce the cost of batteries? A: Cost, size and weight remain challenges for EV batteries. With GaN, we’re helping to make EVs and HEVs more energy efficient.Using GaN in power electronic systems means you can get the same range from a smaller, lighter, cheaper battery. In our studies, we’ve been able to show up to a five times improvement in energy efficiency in some vehicle systems. Q: You attended November’s Future Car 2017 at the Georgia Institute of Technology; what were some of the key takeaways from this conference? A: First, the trend towards autonomous and semi-autonomous vehicles means that just about everything on the vehicle needs to be electrified so it can be controlled. Not just propulsion, but brakes, steering and auxiliary systems. For the biggest automotive manufacturers, all of these changes mean they see themselves in the future, not selling cars but providing transportation as a service. Today, ride sharing apps like Uber and Lyft are leading this shift, and in the near future it will be self-driving cars that will transport passengers from point A to point B.
Don’t make the heat: Squeezing power electronics into a small space means that the electronics get very hot, and you can use SiC devices to cope with the high temperatures. Alternatively, using GaN means you don’t create so much heat in the first place, leading to systems that are both compact and energy efficient. Efficiency is worth real money: The inverter drive in an electric car can be made more efficient by switching from silicon to SiC and more efficient still by switching to GaN. Is it worth it? In a pure electric car, it definitely is. A more efficient inverter means you can achieve the same range with a smaller, cheaper battery resulting in significant savings in cost and weight. In some applications, only GaN will do: LiDAR sensors are an essential element of autonomous vehicle systems. They work by generating extremely short pulses of laser light, and only GaN devices are fast enough to drive the lasers to create accurate, cost-effective LiDAR systems. Q: What are some of the technologies being utilized to reduce heat in batteries and make the systems more compact and energy efficient? A: In practice, energy efficiency and size end up being closely related – a more energy-efficient EV needs a smaller battery. The energy efficiency requirement applies to all of the systems on a vehicle, since every system on an EV draws its power from the battery. GaN can be used in a wide range of systems in the vehicle, both to reduce the weight of the electronics and to increase energy efficiency – which in turn allows the battery to be smaller and run cooler. Q: How is GaN helping to reduce the carbon footprint of automotive data centers? A: That’s an interesting question. People often forget that autonomous cars require a lot of cloud processing. In fact, one autonomous car uses the same amount of computing resources as 2,000 internet users! To meet this demand car companies such as BMW, Ford and Toyota are building or leasing large amounts of data center capacity. All this processing for cloud computing is using energy and creating carbon dioxide. The simple truth is that if automotive manufacturers are making cars more efficient to produce a low carbon footprint, then they need to think about their data center’s carbon footprint. GaN provides a ready-made solution here, since it already plays an integral role in reducing the carbon footprint of data centers by making their power systems more compact and more efficient. We can typically cut the energy loss in data center power supplies by up to 50 percent. https://gansystems.com/wp-content/uploads/2018/08/8-9-2018_GaN-Systems_Blog_Julian-Styles-Blog-Image.jpg 554 795 Kris Kiser https://gansystems.com/wp-content/uploads/2018/02/gan-systems-logo-fc-340x156.png Kris Kiser2018-08-09 15:28:152018-08-09 15:28:15Article: "International Newsmaker Q&A with Julian Styles, GaN Systems"